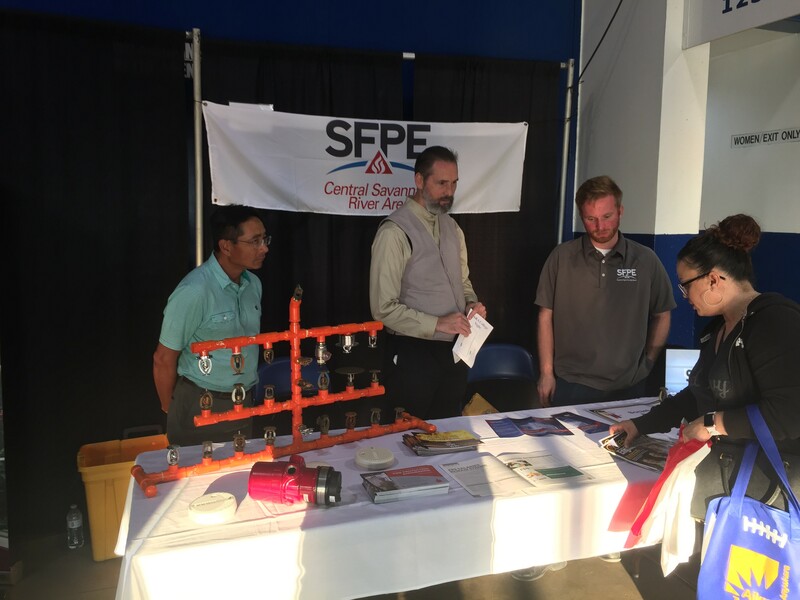 Members of the CSRA SFPE Chapter attended the 2017 College Night in Augusta, GA, to inform high school students and parents about the vast array of careers in Fire Science and Fire Protection Engineering. Bob O'Neill, Dave Hoang and Rob Hanson represented the Chapter at this event. 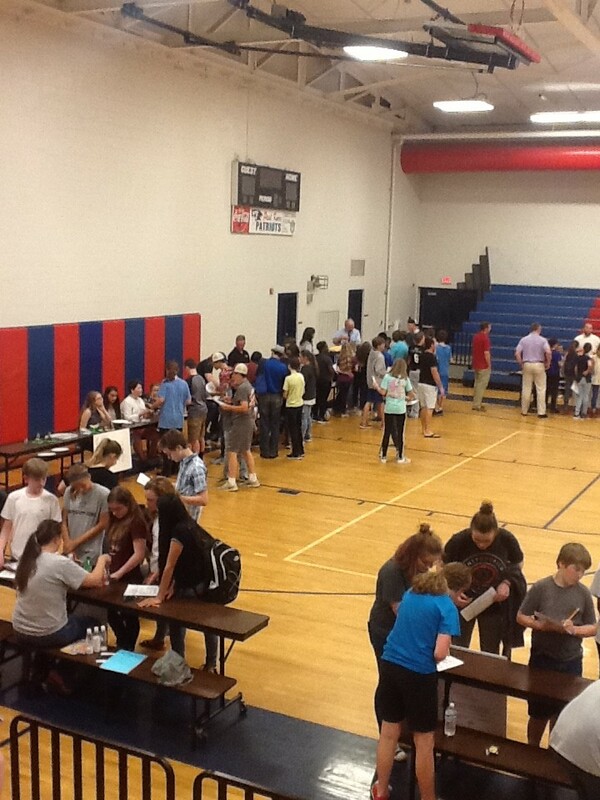 Students and parents were given information on colleges that offer degrees in fire protection and career opportunities available upon graduation. Over 6,000 students were in attendance. 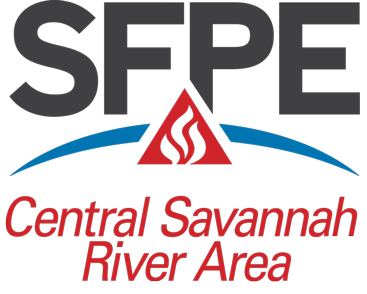 On May 11th, two CSRA-SFPE chapter officers, Rob Plonski (Vice President) and Rob Hanson (Secretary), volunteered to participate at an event called STEM Fest. Located at Paul Knox middle school, this teach-in was to encourage middle school students to consider a future career science, technology, engineering, or mathematics. CSRA-SFPE had a display table promoting fire protection engineering. 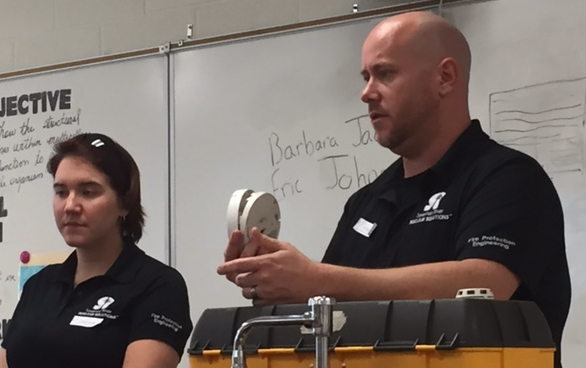 Throughout the 3-hour event, over 500 students were exposed to a 5-minute overview of fire protection engineering through thought-provoking questions and exciting experiments. As part of this presentation, fundamentals of combustion, flame propagation, extinguishment principals, and general fire safety were explored. Students of all backgrounds left with newfound knowledge of the four components required for a fire to occur (heat, fuel, oxygen, and chemical reaction) and the fundamental understanding that removal of any one of the four is sufficient enough to extinguish a fire. The CSRA SFPE hosted our annual NCEES problem writing session in Columbia on Tuesday February 21. Thank you goes out to the SimplexGrinnell office in West Columbia for being our host again this year. Chris Jelenewicz, SFPE International, served as the moderator for the problem writing session. 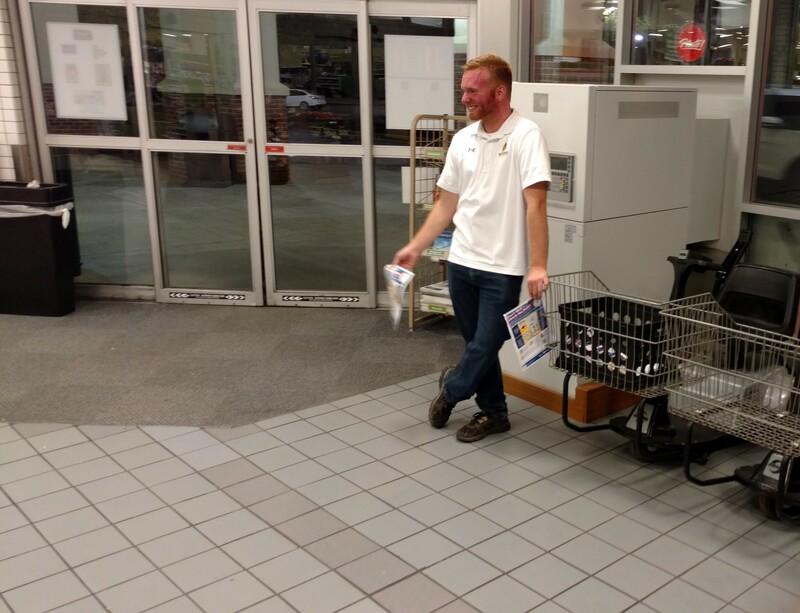 Jason Butler and Thomas Allison submitted 11 new problems to the question pool for the Fire Protection Engineering Exam. NCEES would not be able to offer a PE exam in Fire Protection without the help of volunteers writing questions for the exam. George H. McCall was recognized in the Fellow’s Ceremony at the SFPE North American Conference in September. 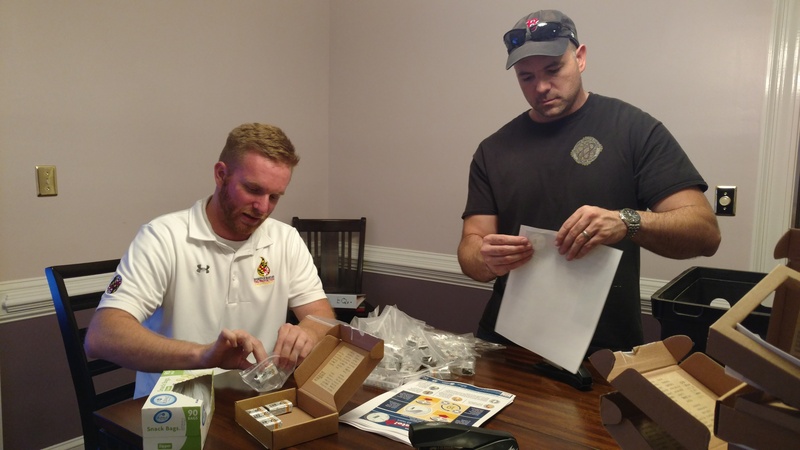 During the Awards Luncheon at the 2016 SFPE North America Conference & Expo Ralph Foster and Jason Butler received the society’s “Hat’s Off Award” for their efforts with installing a NFPA 13R sprinkler system for the CAPA house in Beaufort. The new sprinkler system allowed the CAPA house to increase the number of children the facility may shelter for their community. Paul Anslow represented our chapter by accepting the 2016 Gold Chapter Excellence Award from SFPE International during the 2016 SFPE North America Conference & Expo. This award marks our 11th Gold Chapter Excellence Award and is recognition for our chapter’s representation in the society in our area. Our chapter could not receive this award without the hard work of our chapter members. 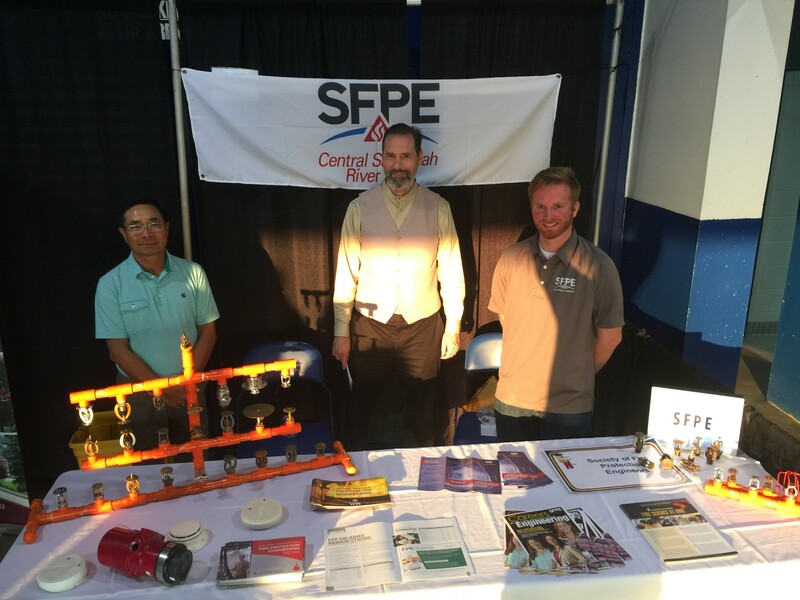 Members of the CSRA SFPE Chapter attended the 2016 College Night in Augusta, GA, to inform high school students and parents about the vast array of careers in Fire Science and Fire Protection Engineering. 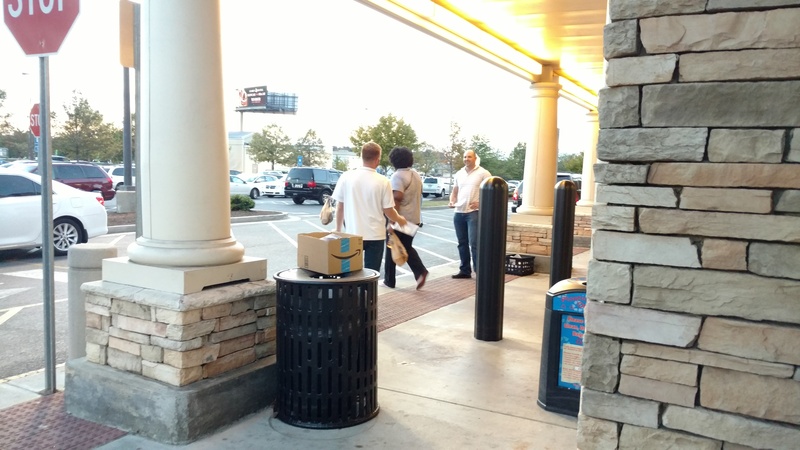 Tom Allison, Paul Anslow, Jason Butler, Stan Hill, Barbara Jackson, and Stan Maciaszek represented the Chapter at this event. 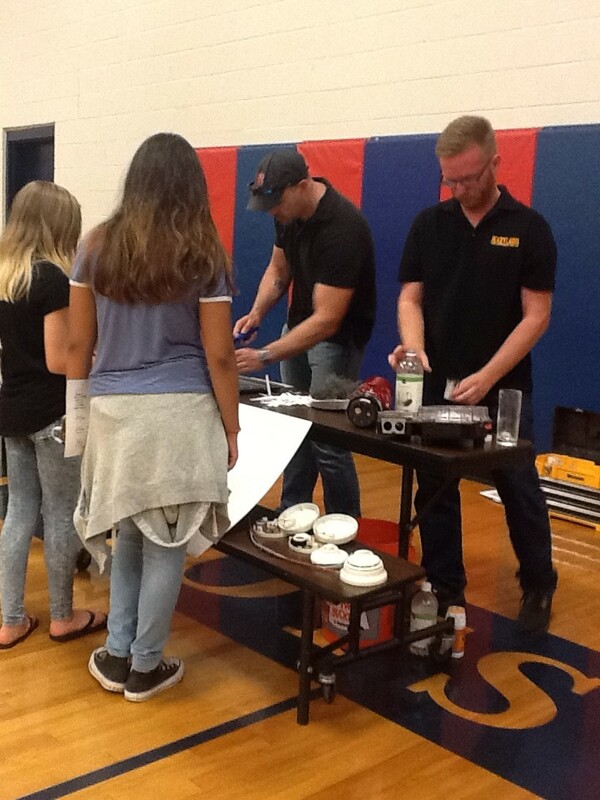 Students and parents were given information on colleges that offer degrees in fire protection and career opportunities available upon graduation. Over 6,000 students were in attendance. 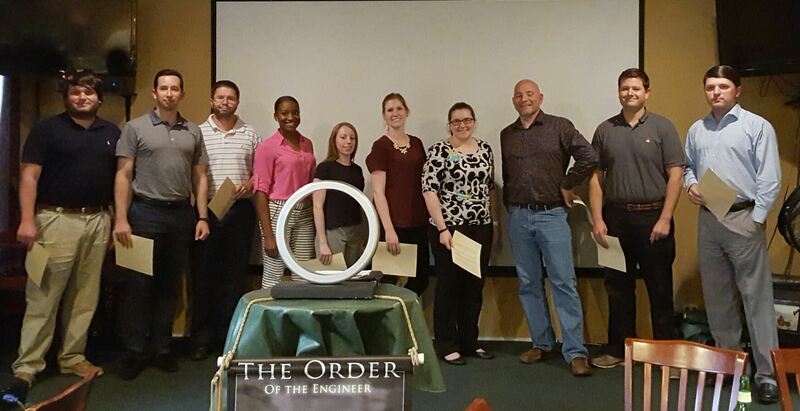 An Order of the Engineer ceremony was conducted by the CSRA SFPE Chapter on May 17, 2016 at the Aiken Brew Restaurant in Aiken, SC. Speaking parts for the ceremony were performed by Jason Butler, Glynn Dyer, Eric Johnson, and Paul Anslow. An outstanding presentation was given by Bernie Till to the ten new inductees. Congratulations to the new members of the Order of the Engineer!